How to Start Composting & Why You Should! An organic recycling process designed by Mother Nature herself? Now that's something we can get behind. Join us! Composting isn't as confounding as it seems. By definition, composting is the facilitated process of organic matter converting to soil. This decomposition process occurs in nature perpetually, but by using certain vessels and techniques, farmers and gardeners can expedite the process, quickly turning out lush, nutrient-rich soil from vegetable scraps, yard trimmings, and livestock manure. Fungal and bacterial microbes are employed to break down organic matter into simpler compounds, and their productivity levels depend on a range of environmental factors, like temperature, oxygen, moisture and even the carbon-nitrogen ratio (the microbes usually prefer it 30:1, in case you're curious). 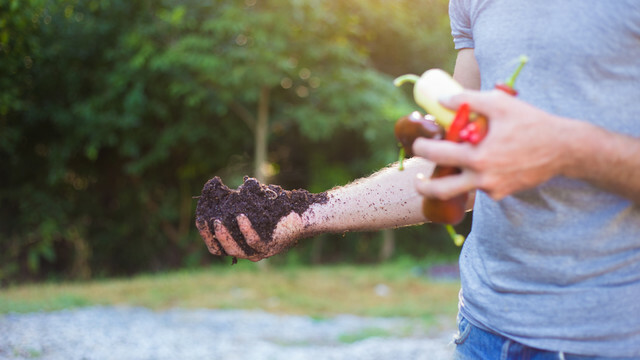 There are several home composting methods, like hot and cold composting, backyard composting, and worm composting; the best one for you depends on how much you wish to compost and what kind of matter you wish to compost. Do your research; there are plenty of informative DIY composting guides out there for you to peruse! 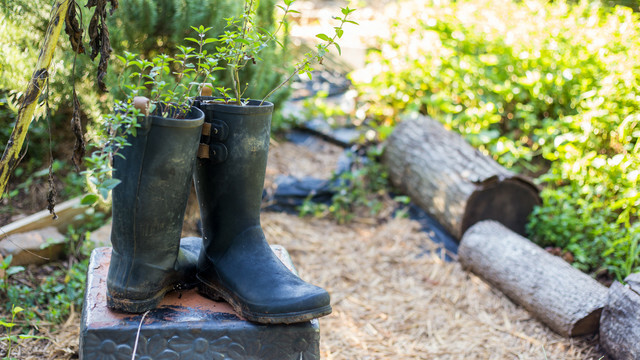 When home-chefs aren't using scraps for stocks or pickling, a small, manageable compost bin set in the backyard will reward them with a good bit of healthy soil for a small garden or flower box. But why put in the extra effort? Other than saving you money and time in purchasing 100% organic fertilizer and a few extra trips to the dumpster (nearly a third of our waste could be composted! ), composting results in healthy, nutrient-dense soil. This "black gold" is not only abundant in minerals and compounds that let plants thrive, but also particularly apt to remain chemically balanced. The soil from compost materials is much more porous, which results in better water drainage as well as more controlled release of nutrients. To top it off, this soil is naturally resistant to many common pests and diseases. Healthy soil means healthy plants, and nutrient-rich soil means nutrient-rich fruits and vegetables. That's right- the rewards for composting don't end with strong roots and brilliant fruits... they circle back to us in the form of flavor and nutrition. - Buy only what you need. It's hard, right? Practice mindfulness in the market, and try not to shop hungry. Practice mindfulness with the trashcan as well - a written record might help you get started! - Fill your lunchbox with leftovers. Not only will you save money, but also you'll ensure that the food in your fridge gets eaten before more is added. - Still overzealous when it come to the produce clearance bin? Cook off what you can finish (or share!) within a few days and then freeze whatever else you can't. If it can't be frozen, donate or give it away as soon as possible. Pro-tip: your local farmer's pigs LOVE your extra fruits and veggies, even if they're a bit smushy! - Your food scraps have a ton of potential. Get creative. - Use proper food practices at home. FIFO isn't just for restaurants and retail food stores, y'all! - Jump on the meal kit wagon and join PeachDish! When ingredients are portioned according to the recipe and exact number of servings you need, there's no chance of extra, loose ingredients crowding your fridge (that'll just rot in a week). How many times have you bought an entire bunch of cilantro for just a few sprigs, or a full jug of buttermilk for just one cup? In 2018, PeachDish composted more than 19,000 pounds of food! We're proud to partner with CompostNow (formerly CompostWheels), an Atlanta-based company that picks up organic scraps from company offices and residential households, converts it to healthy soil, and distributes that soil to farmers so they can use it to grow healthy plants - some of which are in our supplier family. Talk about full circle!